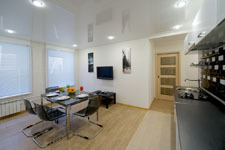 Please contact us iribori@hotmail.com for more information about these apartments. If you have other preferences, please, also contact us and we will try to find exactly what you need. 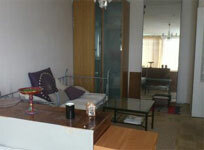 2-1 Two room apartment in Nevsky prospect 84/86, 2 minutes walk to Mayakovskaya metro station, 500-600 Euros per month. 2-2 Two room apartment in Millionnaya street, 12, 10 minutes walk to Admiralteiskaya and Nevsky Prospect metro station, 10 minutes walk to Nevsky prospect, 650-700 Euros per month. 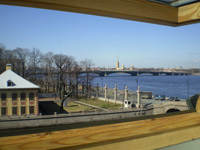 2-3 Two room apartment on the Moika river embankment 25, 5 minutes walk to Admiralteiskaya and Nevsky prospect metro stations, 5 minutes walk to Nevsky prospect, 800 Euros per month. 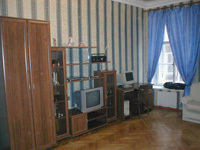 2-4 Two room apartment in Nevsky prospect 84/86, 2 minutes walk to Mayakovskaya metro station, 750-800 Euros per month. 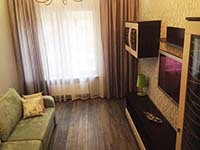 2-5 Two room apartment in Stremyannaya street, 3 minutes walk to Mayakovskaya metro station, 1 minute walk to Nevsky prospect, 600 Euros per month. 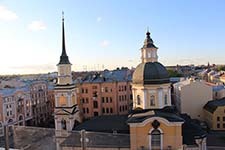 2-6 Two similar two room apartments in Nevsky prospect 18, 5 minutes walk to Admiralteiskaya and Nevsky prospect metro stations, 5 minutes walk to the Hermitage, 40-90 Euros per night. 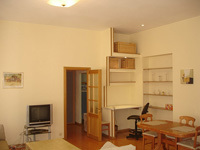 2-7 Two room apartment in Nevsky pospect 13, 2 minutes walk to Admiralteiskaya metro station, 500-600 Euros per month. 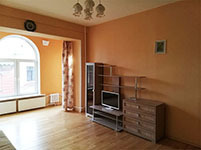 2-8 Two room apartment in Pushkinskaya street, 12, 5 minutes walk to Ploschad Vosstaniya/Mayakovskaya metro stations, 3 minutes walk to Nevsky prospect, 750 Euros per month. 2-9 Two room apartment in Viborgskoe shosse15, 10 minutes walk to Prosvescheniya prospect metro station, 15 minutes ride to Nevsky prospect, 500 Euros per month. 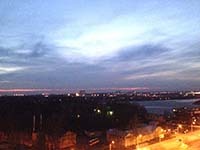 2-10 Two room apartment in Morskaya embankment 39, Vassilievsky Island, 15 minutes walk to Primorskaya metro station, 10 minutes ride to Nevsky Prospect, 500-550 Euros per month. 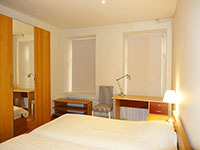 2-11 Two room apartment on the Fontanka river embankment 2, 10 minutes walk to Chernishevskaya, Gostiny Dvor, Mayakovskaya and Gorkovskaya metro stations, 10 minutes walk to Nevsky prospect, 50-90 Euros per night. 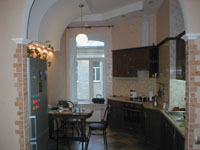 2-12 Two room apartment in Stremyannaya street 7, 1 minute walk to Mayakovskaya metro station and to Nevsky prospect, 600-700 Euros per month, 40-60 Euros per night. 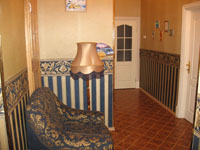 2-13 Two room apartment in Dumskaya street 5, 1 minute walk to Nevsky prospect metro station and to Nevsky prospect, 600 Euros per month, 40-60 Euros per night. 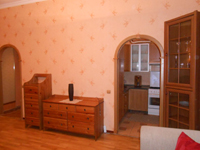 2-14 Two room apartment in Maliy prospect 64, Vasilievsky Island, 15 minutes walk to Primorskaya metro station, 10 minutes ride to Nevsky prospect, 1000 Euros per month. 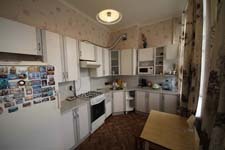 2-15 Two room apartment in Pushkinskaya street 13, 5 minutes walk to Mayakovskaya and Ploschad Vosstaniya metro stations, 5 minutes walk to Nevsky prospect, 550-600 Euros per month. 2-16 Two room apartment in Ploschad Ostrovskogo, 3 minutes walk to Nevsky Prospect metro station, 1 minute walk to Nevsky prospect, 50-100 Euros per night. 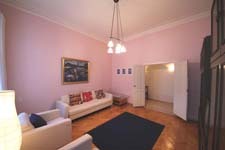 2-17 One bedroom apartment in Pochtamtskaya street 11, 10 minutes walk to Admiralteiskaya metro station, 10 minutes walk to Nevsky prospect, 500-550 Euros per month. 2-18 Two room apartment in Mayakovskogo street 16, 5 minutes walk to Nevsky prospect and 5 minutes walk toMayakovskaya metro station, 500-600 Euros per month. 2-19 Two room apartment in Raevsogo prospect 11, 10 minutes walk to Politechnicheskaya metro station, 15 minutes ride to Nevsky prospect, 400-450 Euros per month. 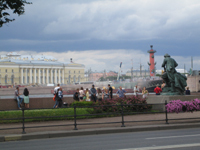 2-20 Two room apartment on the Moika river embankment 55, 5 minutes walk to Nevsky prospect metro station, 2 minutes walk to Nevsky prospect, 40-80 Euros per night. 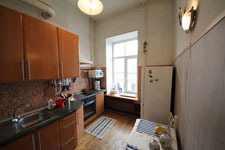 2-21 Two room apartment in Nekrasova street 8, 7 minutes walk to Chernishevskaya/Ploschad Vosstaniya/Mayakovskaya metro stations, 7 minutes walk to Nevsky prospect, 600 euros per month. 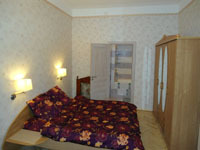 2-22 Two room apartment in Nevsky prospect, 53, 1 minute walk to Mayakovskaya metro station, 800 Euros per month. 2-23 Two room apartment in Marata 57, 5 minutes walk to Ligovsky prospect metro station, 15 minutes walk from Nevsky Prospect, 700 Euros per month. 2-24 Two room apartment in Kazanskaya street, 34, 5 minutes walk to Sennaya Ploschad metro station, 10 minutes walk to Nevsky prospect metro station and to Nevsky prospect, 550-600 Euros per month. 2-25 Two room apartment on the Griboedova kanal embankment 35, 5 minutes walk to Nevsky Prospect metro station and to Nevsky prospect, 600 euros per month. 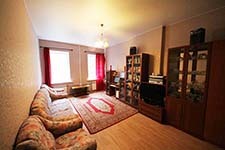 2-26 Two room apartment in Nevsky prospect 127, 10 minutes walk to the metro station Ploschad Vosstaniya and 7 minutes walk to Ploshad Aleksandra Nevskogo metro station, 500 Euros per month. 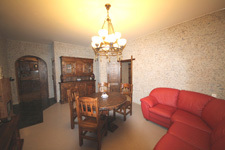 2-27 Two room apartment in Nevsky prospect 63, 1 minute walk to Mayakovskaya metro station, 700 Euros per month, 50-100 Euros per night. 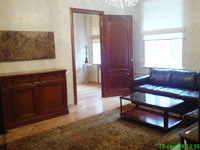 2-28 Two room apartment in Malaya Konushennaya street 4/Griboedova canal 9, 1 minute walk to Nevsky prospect metro station and to Nevsky prospect, 700-800 Euros per month. 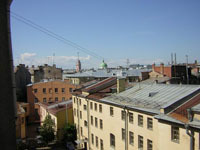 2-29 Two room apartment in Marata street 36, 5 minutes walk to Vladimirskaya metro station, 10 minutes walk to Nevsky prospect, 600 Euros per month. 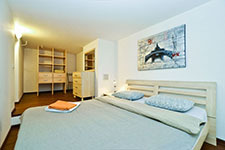 2-30 Two room apartment in Bolshaya Morskaya street 47, 10 minutes walk to Nevsky Prospect and Sennaya metro stations, 10 minutes walk to Nevsky prospect, 50-80 Euros per night. 2-31 Two room apartment in Kavalergardskaya street 5, 10 minutes walk to Chernishevskaya metro station, 10 minutes ride to Nevsky prospect, 700-800 Euros per month. 2-32 Two room apartment in Italianskaya street, 31, 5 minutes walk to Nevsky prospect metro station, 3 minutes walk to Nevsky prospect, 550-600 euros per month. 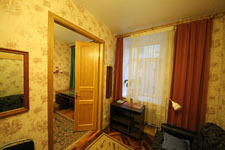 2-33 Two room apartment in Nevsky prospect 112, 2 minutes walk to Ploschad Vosstaniya and Mayakovskaya metro stations, 40-90 Euros per night. 2-34 Two room apartment in the 10th Sovetskaya street, 4, 15 minutes walk to Ploschad Vosstaniya and Ploschad Alexandra Nevskogo metro stations, 15 minutes walk to Nevsky prospect, 550-600 Euros per month. 2-35 Two room apartment in Nevsky prospect 47, 5 minutes walk to Vladimirskaya, Dostoevskaya and Mayakovskaya metro stations, 900 Euros per month. 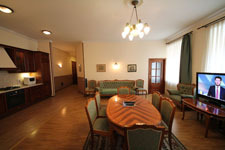 2-36 Two room apartment on the Admiralteiskaya embankment 6, 5 minutes walk to Admiralteiskaya metro station, 5 minutes walk to Nevsky prospect, 5 minutes walk to the Hermitage, 450 Euros per month. 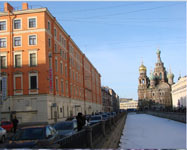 2-37 Two room apartment on the Griboedova canal embankment 7, 3 minutes walk to Nevsky prospect, 3 minutes walk to Nevsky prospect metro station, 50-100 Euros per night. 2-38 Two room apartment in the 11th line of Vasilievsky Island, 5 minutes walk to Vasileostrovskaya metro station, 10 minutes metro ride to Nevsky prospect, 50-90 euros per night. 2-39 Two room apartment in Kolomenskaya street 35, 5 minutes walk to Ligovsky prospect metro station, 10 minutes walk to Nevsky prospect, 800 Euros per month. 2-40 Two room apartment in Apraxin lane (the corner of the Fontanka river embankment and Gorokhovaya street), 5 minutes walk to Sennaya Ploschad metro station, 10 minutes walk to Nevsky prospect, 600 Euros per month. 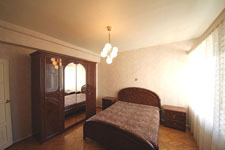 2-41 Two room apartment in Kaznacheiskaya street, 2 minutes walk to Sennaya Ploschad/Sadovaya metro station, 10 minutes walk to Nevsky Prospect, 40-80 Euros per night. 2-42 Two room apartment in Furshtatskaya street, 5 minutes walk to Chernishevskaya metro station, 15 minutes walk to Nevsky prospect, 600 Euros per month. 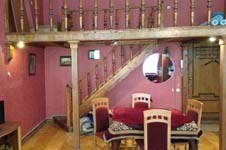 2-43 Two room apartment in Mayakovskogo 16, 5 minutes walk to Mayakovskaya metro station, 5 minutes walk to Nevsky prospect, 700 Euros per month, 40-80 euros per night. 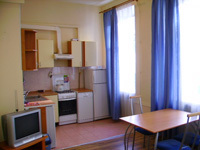 2-44 Two room apartment in Nalichnaya street 36, 5 minutes walk to Primorskaya metro station, 10 minutes metro ride to Nevsky prospect, 450 Euros per month, 40-60 Euros per night. 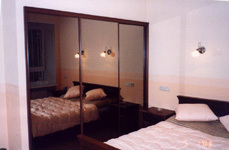 2-45 Two room apartment on the Fontanka river embankment 60, 5 minutes walk to Gostiny Dvor, Vladimirskaya/Dostoevskaya and Mayakovskaya metro stations, 2 minutes walk to Nevsky prospect, 50-100 Euros per night. 2-46 Two room apartment in Aptekarsky lane, 4, 10 minutes walk to Nevsky prospect/Admiralteiskaya metro stations, 10 minutes walk to Nevsky prospect, 50-110 Euros per night. 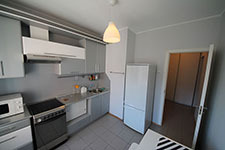 2-47 Two room apartment in Italianskaya street 33, intersection with Karavannaya street, 5 minutes walk to Nevsky prospect metro station, 3 minutes walk to Nevsky prospect, 600 Euros per month. 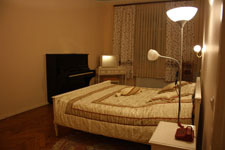 2-48 Two room apartment in Solyanoy lane 14, 5-10 minutes walk to Chernishevskaya and Mayakovskaya metro stations, 10 minutes walk to Nevsky prospect, 50-90 Euros per night. 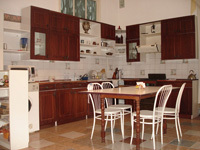 2-49 Two room apartment in Nevsky prospect 60, 3 minutes walk to Nevsky prospect/Gostiny Dvor metro station, 700 Euros per month, 50-90 Euros per night. 2-50 Two room apartment in Chernishevskogo prospect 17, 1 minute walk to Chernishevskaya metro station, 15 minutes walk to Nevsky prospect, 700 Euros per month. 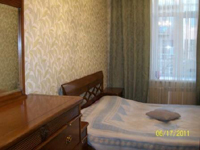 2-51 Two room apartment in Bolshaya Konyushennaya street 17, 5 minutes walk to Nevsky prospect metro station and to Nevsky prospect, 40-90 Euros per night. 2-52 Two room apartment in Belinskogo street, 5, 10 minutes walk to Gostiny Dvor/Nevsky prospect metro station, 10 minutes walk to Nevsky prospect, 600-650 Euros per month. 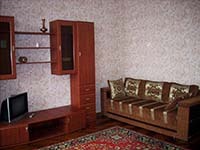 2-53 Two room apartment in Nevsky prospect 103, 5 minutes walk to Ploschad Vosstaniya metro station, 700-750 Euros per month in the winter season (the apartment is rented just daily in May-August/September, 50-110 Euros per night).